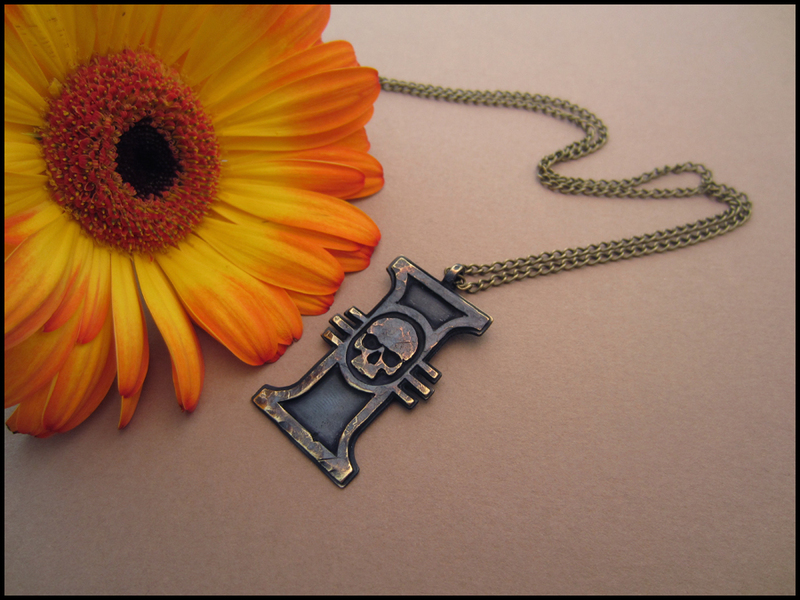 This is Warhammer 40K Inquisition pendant. It is made from brass and comes with a bronze plated chain. Every item is hand hammered to have antique look. Every item is unique and has a bit different texture. The dark color is made using oxidation solution and it does not wear off.